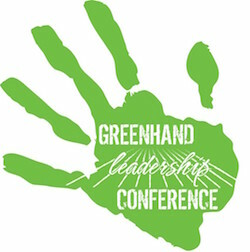 Greenhand Leadership Conferences introduce students to the benefits and opportunities in agricultural education, including Supervised Agricultural Experiences and FFA. This conference is the “hook-line-and-sinker" to get students to buy into agricultural education throughout their years in high school. The overall outcome of this conference is for students to get hooked on the opportunities available to them in the FFA. Students discover the three pillars to success (Me, We, Serve) and how those pillars relate to the overall foundation of the FFA. The students will identify individual strengths they bring to a group, discover how to use those strengths while working with others, and where they can take those strengths beyond the conference experience. Students will be engaged as they leave, ready to take on opportunities the FFA has to offer and continue to grow and develop as a student leader. Chapters will grow from students who come to this conference. Students who have an experience in personal growth are more ready to take on positions of influence within the chapter. Students who attend will also gain a level of confidence and competence that can positively influence peers and encourage a new level of excitement. Finally, students who understand and practice skills found in the conference are able to be contributing members of the chapter, school and community. The curriculum is a comprehensive outline of an effective GLC experience, and the Texas FFA is certain that it will provide a first-class leadership experience. Please have your Area Leadership Development Coordinator contact the Texas FFA Association to receive the curriculum information.